When I started dating my husband-to-be, he served me lunch with fresh cherry tomatoes and homemade mint tea, picked moments earlier from his backyard. I was impressed. Then we moved, he got a full-time job, and we had a baby. Somehow the mint and tomatoes got left behind. For the past three years I’ve been saying, “I must plant some vegetables in our yard.” It hasn’t happened. But this is the year. As of a few minutes ago, I am committed: I have just pre-ordered two different varieties of organic, cherry tomato seedlings from the Coop la Maison Verte, through its annual Big Vegetable Seedling Sale. For the 6th consecutive year, Coop la Maison Verte is teaming up with Ferme du Zephyr to offer a large variety of organically grown heritage tomato, vegetable and herb seedlings. Some 150 different varieties will be available at the Coop’s NDG store from May 7 to mid-July. But you can place your order now, either online at boutique.cooplamaisonverte.com, or in person at the store. Stéphanie Guico, the Coop’s marketing coordinator, says the seedlings are organically germinated from heirloom seeds in the greenhouses of Ferme du Zephyr, a certified organic farm located in Senneville on the island of Montreal. “It’s a good compromise between sprouting your own seeds at home and picking up ‘whatever’ at the hardware store,” she says. Heirloom or heritage plants are open-pollinated varieties that grow from rare seeds that have been preserved for generations. “By growing these plants, gardeners take part in preserving biodiversity by cultivating unusual varieties that are not offered by mainstream producers and are at risk of being lost completely,” the Coop’s press release states. If you need help choosing what to order (I was a bit overwhelmed by the 70 different varieties of tomato plants), staff at the Coop are happy to help. Is it for a balcony or a backyard? Do you want your tomatoes for cooking or for salads? There’s also broccoli, cucumbers, squash, melons, sweet and hot peppers, lettuce, Swiss Chard and more. If you order online, you can opt for one of four delivery locations: Coop la Maison Verte (NDG), Coop du Grand Orme (Ste-Anne-de-Bellevue), Cabaret des Bons voisins (Pointe Claire village), or Terre à Soi (Hochelaga-Maisonneuve). Workshops related to the seedling sale will be offered in April and May, on topics such as food security, food sovereignty, permaculture and gardening. Stay tune via the Coop website or Facebook. 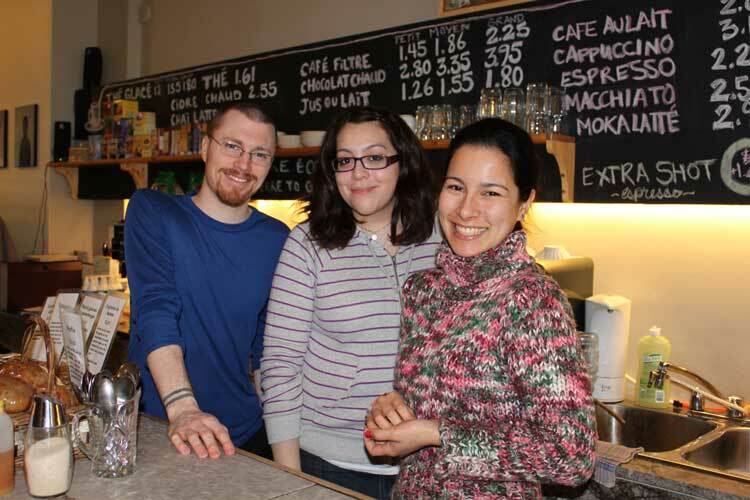 In keeping with this mandate, the Coop runs a store and café in the Montréal borough of Notre-Dame-de-Grâce (NDG), where it offers ecologically sound, sustainable products — school and office, personal care, home cleaning and home renovation — and whole foods. “Our policy is that food should be as local as possible, and organic if possible; if not local, then within North America; if not within North America, then Fair Trade,” Guico says. 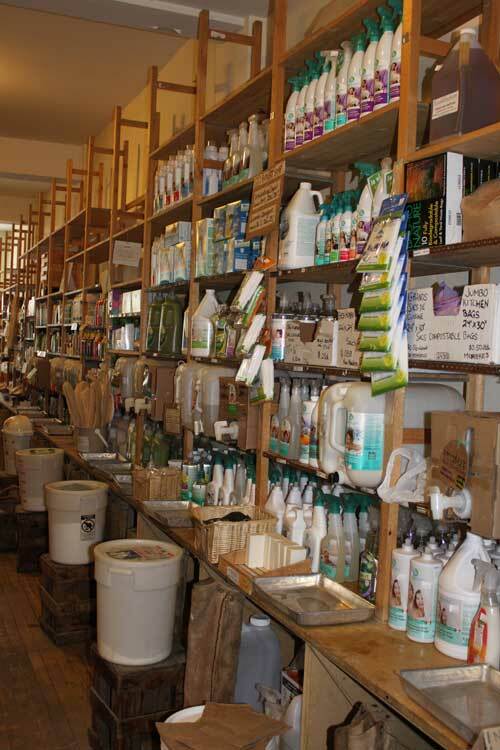 La Maison Verte also hosts workshops on a variety of topics, from composting to bee-keeping. In the summer, the Coop offers organic food baskets through Equiterre’s Community Supported Agriculture project, and it hosts a farmer’s market run by Ferme du Zephyr on Thursdays and Saturdays. 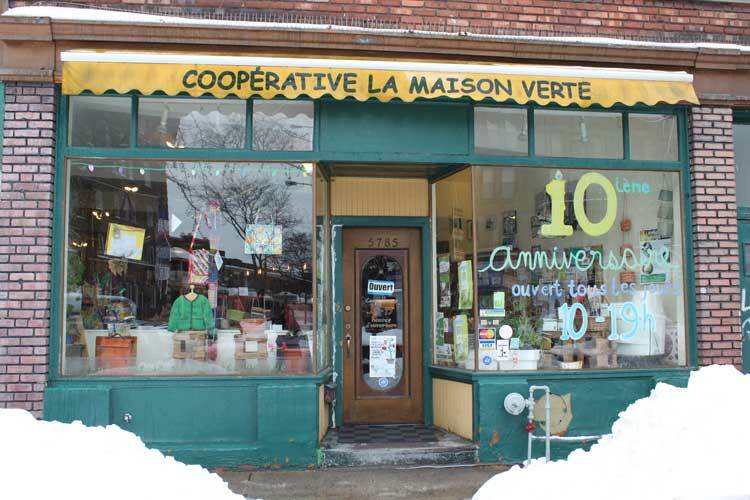 Drop in for a coffee at Coop la Maison Verte, 5785 Sherbrooke Street West, corner Melrose (bus 105 from Vendôme metro).